Dr. med. Ulrike Mager, Dr. med. Gerhart Tepohl und Prof. Dr. med. The angiology specialists in Munich, Prof. Rauh, Dr Tepohl and Dr Mager, form the specialist team of the Promenadeplatz Vascular Centre in Munich. In this specialised institution for angiology, the specialists, Prof. Rauh, Dr Tepohl and Dr Mager, treat all vascular conditions, that is, conditions of the veins and arteries. At the same time, these specialists in angiology treat, in particular, peripheral arterial occlusive disease (PAOD), emboli (clot formation), inflammatory vascular conditions (vasculitides) and varicosities (varicosis), as well as venous thromboses and superficial vascular inflammation (thrombophlebitis). In order to be able to treat these particular conditions, the angiology specialists in Munich, Prof. Rauh, Dr Tepohl and Dr Mager, use specific procedures for these, including catheter treatment for circulatory disorders, radio frequency and laser catheter treatment for varicosities, vascular surgery and stripping procedures, for example. As well, the angiology specialists in Munich perform by-pass surgery. 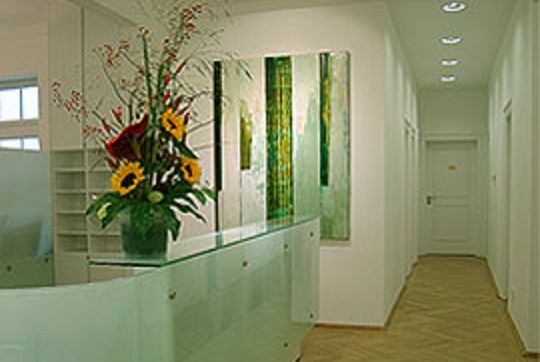 The angiology specialists’ Vascular Centre is located on the Promenadeplatz in Munich. Here, Prof. Rauh, Dr Tepohl and Dr Mager work with the latest state of the art science in order to be able to treat their patients as gently as possible. With this in mind, these specialists prefer non-invasive examination methods and minimally invasive treatment procedures. These minimally invasive procedures include so-called catheter procedures, which, in most cases, can be performed on an out-patient basis. The specialists in angiology operate on arteries in a specially equipped catheter area at the hospital. For vascular procedures, on the other hand, a surgical suite is available to the angiology specialists at the practice. The Vascular Centre on the Promenadeplatz in Munich works in accordance with a medical quality management system and is certified in accordance with DIN EN ISO 9001:2000. 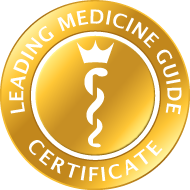 In addition, the Bavarian State Medical Association has conferred its licence to conduct advanced training, both in angiology and vascular medicine, and in phlebology and vascular medicine, on the angiology specialists. Angiology and vascular medicine is the field of internal medicine, which deals with the identification and treatment of vascular conditions. Here, disorders such as diseases of the vascular system leading away from the heart (arteries) and leading towards the heart (veins, lymphatic vessels) are treated. The angiology specialists in Munich treat arterial diseases, of which over 90 per cent of cases involve arteriosclerosis. These diseases can lead to the formation of deposits on the vessel walls (plaque), constrictions (stenoses) or occlusion. Among the arterial conditions, the following diseases are particularly relevant to the specialists in angiology, in terms of their frequency and clinical consequences: peripheral arterial occlusive disease (PAOD) of the pelvic arteries and in the legs, constrictions of the carotid arteries (arteriae carotidis), constrictions of the renal arteries and mesenteric arteries (intestinal arteries), as well as coronary heart diseases. The angiology specialists in Munich also treat aneurysms (enlargement), emboli (clot formation spreading into smaller vessels), vascular malformations and inflammatory vascular diseases (vasculitides), which all likewise affect the arterial vascular territory. The vascular diseases, treated by the angiology specialists, Prof. Rauh, Dr Tepohl and Dr Mager in Munich, include, for example, varicosities (varicosis), defects in the superficial vascular system with a variety of manifestations, chronic venous insufficiency (defects of the deep venous system), venous thrombosis, with the potential consequence of post-thrombotic syndrome, leg ulcers (ulcus cruris) or pulmonary embolism and superficial vascular inflammation (thrombophlebitis). The angiology specialists in Munich also treat diseases of the lymphatic system, which generally present as so-called lymphoedema. This may be the consequence of an inherited defect, a lack of development of lymphatic channels or of acquired damage to the lymphatic drainage. Functional circulatory disorders, which are the consequences of deficient nervous regulation of the vascular system and which present without structural vascular damage, are also treated by the specialists in angiology in Munich.